Members of Bookham Riding Club benefit from reduced entry fees, participation in training events and hire of the club field (£5) . Membership is valid from 1st January 2019 until 31st December 2019. Applications after the 1st October 2018, but before the 1st January 2019, will be valid until 31st December 2019. Please download and complete our membership form. 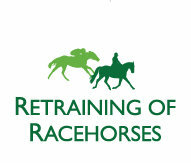 Members are eligible to compete as part of Bookham Riding Club teams. Please note you can only represent one club in any one year and you must be a fully paid up member of Bookham Riding Club to be eligible. The owner of the horse(s) you ride when representing the club must also be a member of Bookham Riding Club (riding or non-riding member). Your horse(s) must also have an up-to-date flu vaccination passport. Each team member will be requested to make a contribution towards the entry fee for the qualifying classes and provide helpers at qualifiers where requested. More information on teams can be found on our teams page. It is a condition of membership that Bookham Riding Club members help at least once per year. Where junior members are too young to help, their parents will be asked to help in their place. BRC holds details of its members’ names, addresses, email addresses and telephone numbers on a computer database. The database is used to distribute newsletters and information to our members and to contact members regarding BRC business. It may also be used by the Committee, Team Managers and the Riding Clubs Department at the BHS Stoneleigh. If you object to BRC holding this data about you and using it for the purposes stated please notify the membership secretary in writing at the address above and your details will be removed from the database.